Dr. Julia Kinder is so glad you came for a visit, and even more excited to tell you that we have just launched our new website! 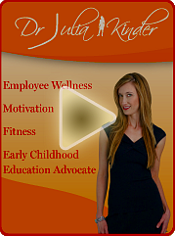 The New JuliaKinder.com highlights: Down syndrome, Physician Career Consulting and Coaching, Early Childhood Education, and Health / Wellness & Fitness. Please send us an email, and let us know what you think of Dr. Kinder’s new website. Click here to visit the New JuliaKinder.com! Start living the life you want, Right Now!™ The Exercise Right Now™ Fitness Program! Click here. Get Julia’s Educational Bibs and Flashcards to make mealtime a fun learning time for baby! Click here. See what inspires Julia, and find a source of motivation for yourself. Click here. 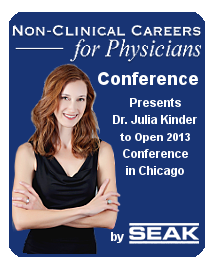 Conference presents Dr. Julia Kinder!